Family Nurse Practitioner Lisa Decker likes small town life and is excited to be joining the medical team at Wymore Medical Clinic, beginning July 9. The current Beatrice Women’s and Children’s provider will join Physician Assistant Don Harmon in the clinic, along with Licensed Practical Nurses Tammy Bulin and Michelle Schiebur and Receptionist Denise Shepardson. Small communities and family healthcare are both important to Lisa. Don is pleased to be able to bring additional medical staff to the Wymore area. 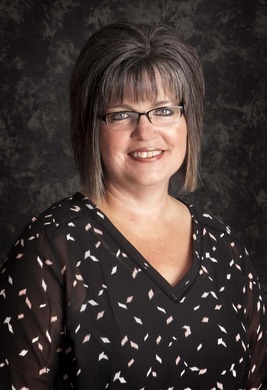 Lisa earned her Master of Science in Nursing Degree (Family Nurse Practitioner) from Walden University in Minneapolis, Minn., and her Bachelor of Science in Nursing Degree from Fort Hays State University, Hays, Kan. Prior to that, she earned her Associate of Applied Science in Nursing Degree from Cloud County Community College, Concordia, Kan., and her Licensed Practical Nursing Degree from Southeast Community College, Beatrice. She worked as a Registered Nurse for about 25 years in a Washington, Kan., family medical clinic, before accepting a job as a Family Nurse Practitioner in the BCH Women’s And Children’s Clinic, where she has worked for the past three years. A Beatrice native, Lisa has lived with her husband, Scott, on the family farm near Washington, Kan., for almost 30 years. Her daughter is a physical therapist in Marysville, Kan., and her son, with a Master’s Degree in International Agriculture, works for the family farm and his uncle’s plumbing business. When not working in the medical clinic or on the farm, Lisa says she enjoys spending time at the family’s cabin at Wymore’s Cottonwood Beach. Lisa says she is ready for a new challenge and is looking forward to getting to know the people of Wymore and Blue Springs, both young and old alike. The Wymore Medical Clinic, located at 116 East H St., is open Monday through Friday, 8 a.m. to 5 p.m. For an appointment, call 402-645-3310. The Wymore Medical Clinic and the Beatrice Women’s and Children’s Clinic are BCH physician clinics.